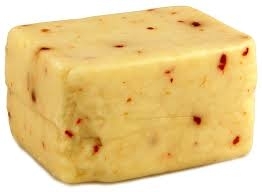 Mild, smooth Monterey Jack Cheese that turns up the heat with Habanero and Jalapeno peppers. This one bites back! Price is per pound.